Video announcements seem to be all the cool thing to do this year. First, we had Congressman Mike Pence announce for Governor via video and now we have Congressman Joe Donnelly announcing he’ll run for U.S. Senate. You can watch the video at the campaign’s new website, www.joeforindiana.com. The video is essentially a bio ad with a lot of talk about hard work and moving America forward but not much about how. That said, Donnelly needs to introduce himself to the rest of the state outside the 2nd District and this video isn’t a bad start. Gary Welsh, over at Advance Indiana, maintains that Joe Donnelly is really hoping to match up against Senator Richard Lugar and not Richard Mourdock. And people accuse us of a political spin! There is no way Donnelly wants to match up with Senator Lugar. Lugar has broad appeal especially in the General Election and the residency issue is more an issue of perception than a legal concern. 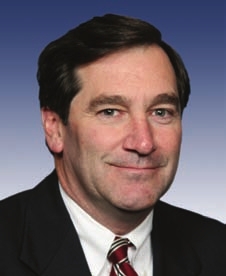 The bottom line is there is no way Joe Donnelly would be running for U.S. Senate if there was not a Republican Primary. The primary race will eventually get very ugly on both sides and Lugar will spend his $3 million cash on hand down to nothing if that is what it takes to win. The eventual Republican nominee will be beat up and have spent a great deal of their money when they come out of the 2012 May Primary while Joe Donnelly will be spending his time raising money and gearing up for battle. Indiana is a Republican leaning state but this could interesting. That’s why, as Peter Rusthoven put it, Mourdock is actually Obama’s favorite Republican, as a Mourdock/Donnelly matchup would likely give the Democrats a new seat in the Senate. No Billy, I am not infuriated by it. Billy has his nice heltah insurance plan now. He’s a selfish blowhard. Billy and others do not realize that we all pay a penalty on our insurance premiums when people with no insurance go to the emergency room for EVERYTHING and then are unable to pay. By having access to far less expensive heltah care than the ER, because they will have insurance, and because they will have access to preventative care, it will benefit everyone. By the way, Missouri will have no say in who is in the White House. Missouri will be a red state regardless of the activism on either side.